(1) Chief Dakota Yankton costume. Org. 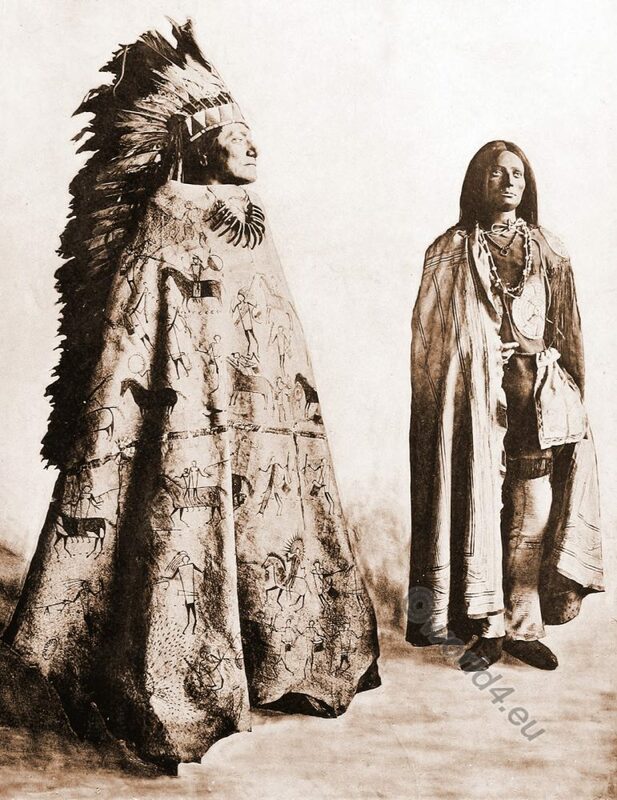 Costume d’Indiens, États-Indiens et Canada. La Decoration Primitive, IV. Planche 49.— 1) Costume de chef Dakota Yankton. Etats-Unis. 2) Costume de squaw Mandan. Source: La décoration primitive; Amérique post-Colombienne by Réal, Daniel. Published 1922. Related: History of the Indian Tribes of North America.